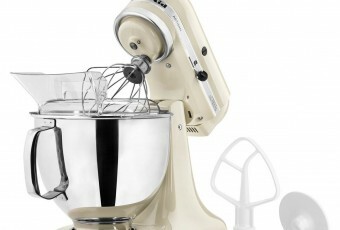 The ideal set for preparing large quantities of ravioli. 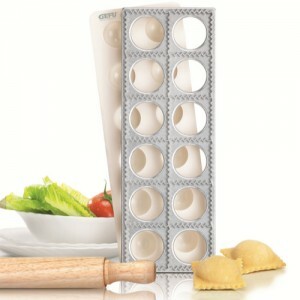 Simply place a sheet of fresh pasta onto the aluminium ravioli maker and press down using the plastic mould to form 12 small pasta cups. Fill the pressed pasta cups with the filling of your choice, cover with another sheet of fresh pasta and run the rolling pin gently over the top. Then simply turn the maker upside down and the 12 filled pasta parcels will pop out easily ready for cooking. Set includes maker, mould and rolling pin.